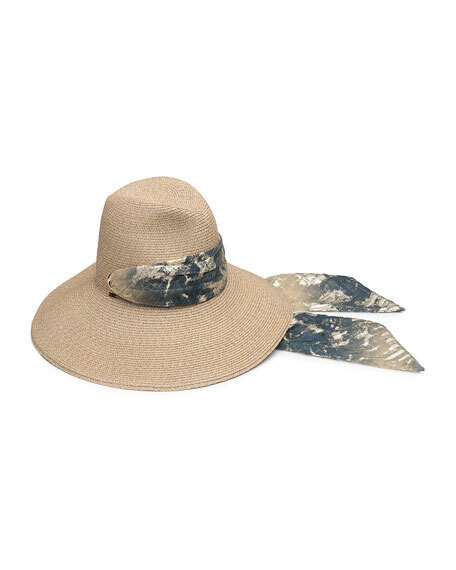 Eugenia Kim "Cassidy" sun hat in hemp-blend. Pleated, sheer metallic scarf woven through break. 14-karat gold grommets on crown. Made in the USA of Spanish materials. For in-store inquiries, use sku #2511128.